Food Fare has published ten e-cookbooks in the span of five years. More are planned for the future, so keep your eyes peeled . 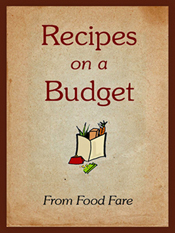 . .
Food Fare's collection of e-cookbooks just keeps growing - so take your pick and get cooking! 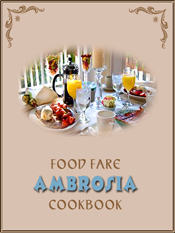 The Ambrosia Cookbook contains recipes in all categories, along with special dishes for holidays and vegetarians, and easy-to-assemble herb and spice mixes. 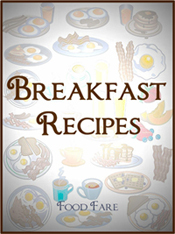 Food Fare's Breakfast Cookbook contains more than 100 recipes for breakfast breads, crepes, fruits, grains, casseroles, eggs, full meals, pancakes, sandwiches and vegetables. The elegantly-appointed Food Fare Cookbook contains the cream of the crop from the Food Fare web site, including more than 200 distinctive and original recipes. Bon Appetit! 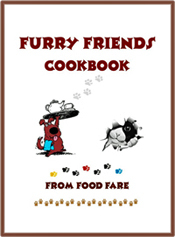 The Furry Friends Cookbook contains more than 50 original recipes for homemade dog and cat food, including main meals, treats, biscuits and kibble. 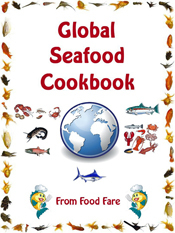 The Global Seafood Cookbook includes more than 200 seafood recipes (appetizers & salads, entrees, shellfish entrees, pasta, side dishes, soups & stews, salmon, condiments, sauces & seasonings). The book also contains information about seafood health benefits and nutrition facts, fish trivia and general how-to guides (de-bearding, de-boning & filleting, deveining, shucking, and cracking shells). 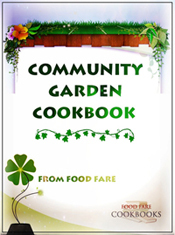 In partnership with Food Fare, the Larkin Community Cookbook by Deidre Dalton is now available in Kindle, Kobo and Nook editions. 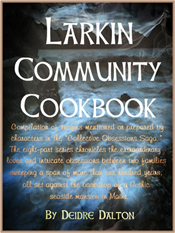 The cookbook is a compilation of recipes mentioned or prepared by characters in the fictional epic known as the Collective Obsessions Saga by Deidre Dalton. Food Fare's Quirky Snacks Cookbook contains more than 60 snack recipes from Avocado English Muffins to Yalanchi (Iraqi rice-stuffed tomatoes). 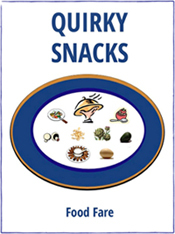 The Quirky Snacks Cookbook is FREE. 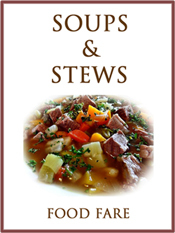 Food Fare's Soups & Stews Cookbook features more than 170 recipes for unique as well as traditional soups and stews from across the globe. 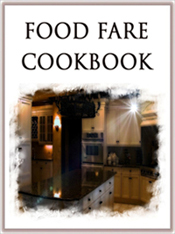 Food Fare's Culinary Collection offers an exclusive selection of forty titles in Kindle, Kobo and Nook editions. The books include information about the food and culture of different countries across the globe, holidays and food-specific topics. They also contain history, food traditions, lifestyle and dishes native to various countries, as well as authentic recipes, words and phrases in the native tongue of the subject, along with food terms.